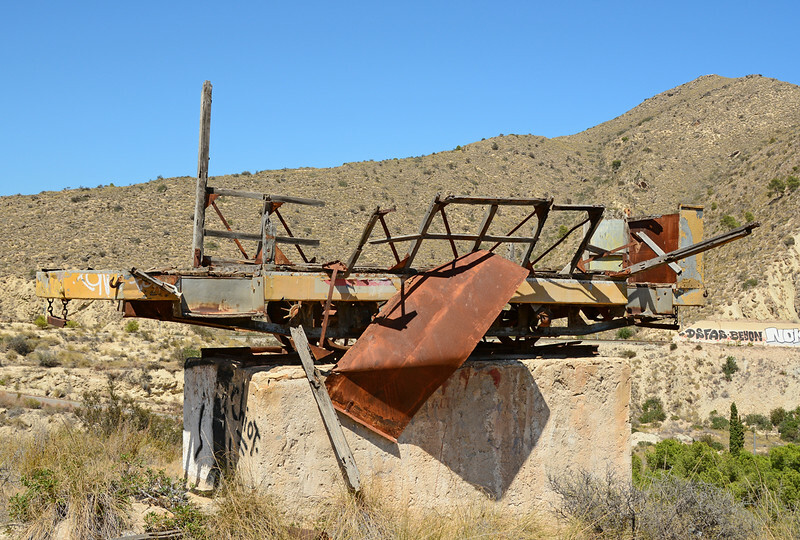 The remains of an Alicante trailer car as seen at Barranco De Aguas near El Campello 30/06/2014. My understanding is that this was used to publicise a local restaurant. In the background can be seen the Tram line covered in grafiiti, a major problem in Spain.